Gay4Detroit is coming this summer!! HEAD OVER HEELS is coming to The Ringwald fresh from Broadway! 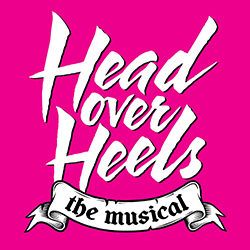 HEAD OVER HEELS is coming to The Ringwald fresh from Broadway! Visit the show page for more details. Ringwald's 2019-2020 Season is Announced! As usual, fans of The Ringwald can expect the unexpected! Camp? Yep! Gay? Sure thing! Musicals? Of course! Gay musicals? You betcha! Searing drama? Oh, we got that too. "I love The Ringwald Theatre with all of my heart and soul! Thank you for all of the gifts you share with the world." Waiting lists are available for sold out performances. You must arrive in person to add your name on a first-come, first-served basis. PARKING: Metered parking is available in front of theatre on Woodward, behind the theatre, the WAB, Como's and next to the Ferndale Library. There is also metered parking in the big lot located behind the Rust Belt Market (across the street). NEW Parking rates/times: Mon-Sat: $.50 per half hour/$1 per hour from 11am - Midnight. Parking is free on Sundays and major holidays.